Cyclamen are a genus of plants containing 20 species. They are native in the Mediterranean and Africa. Cyclamen grow mainly in dry forest or scrub areas. They are part of the primrose family, although they are tuberous and bear no obvious resemblance to primroses. Cyclamen have white, bright pink, red or purple flowers. Cyclamen Absolute is highly used for perfume making, skin care, creams and lotions. Cyclamen is said to counteract poison and to make an effective ointment to heal a snake bite. 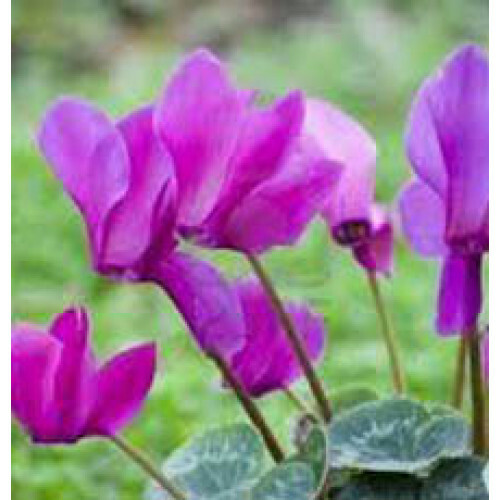 Cyclamen have been used as a powerful purgative to clear the sinuses or remove boils or blemishes from the skin.